Kaboom! Dynamite comes in small packages! Cozy living & kitchen area have the charm you've been looking for. Age old pine floors and exposed brick walls display an historical space 200+ years in existence. Updated bath off the hall has tile floors and cultured marble shower surround. Bedroom is filled with light. Ceilings with crown molding are 9.5'. 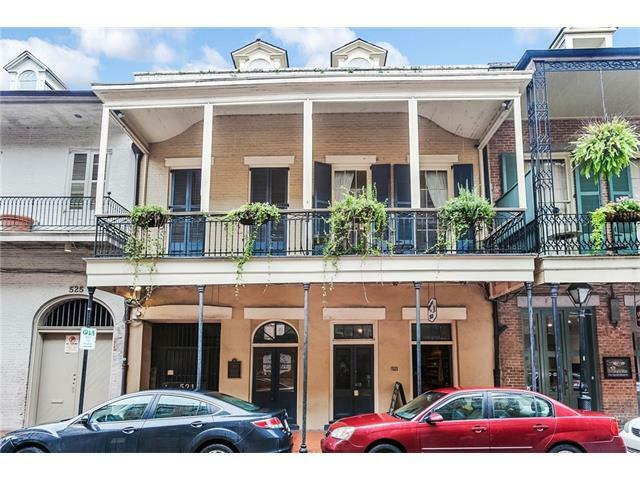 Unit is flanked by a balcony that overlooks a gorgeous brick courtyard with French Quarter fountain. This place is as neat as a pin. Central AC WD on site. Listing provided courtesy of Samara D Poche' of Keller Williams Realty-New Orleans.